Kratom for ADHD - Is Kratom Effective At Treating ADHD Symptoms? You are here: Home / Natural Approach / Kratom for ADHD – Is Kratom Effective At Treating ADHD Symptoms? Last update: January 16, 2018 Once I stopped using Vyvanse, I started to investigate the benefits of using kratom for ADHD. This article reveals everything that I learned about using kratom to help with ADHD symptoms. I first heard about kratom from someone who had a difficult time with an opioid habit. Kratom is great at helping people stop using addictive painkillers. And, while Adderall and Vyvanse are far from being painkillers (Adderall and Vyvanse are prescription stimulants for ADHD), prescription ADHD medication comes with its own set of potential risks. Is kratom a better alternative than Adderall or Vyvanse for treating ADHD symptoms? Note: This article is intended for entertainment purposes only. Please also keep in mind that federal law prohibits kratom from being sold for human consumption. Kratom is sold only as an incense in the US, and there is an ongoing battle regarding kratom’s legal status. Since people have used kratom for hundreds of years, it has to have some good qualities, right? Kratom is a plant native to Southeast Asia. The plant is commonly used because of the stimulative and sedative effects that it can provide some people with. Though not an opiate, the plant is said to affect opioid receptors in the brain, which is similar to how prescription opiates work. However, the major difference between kratom and prescription opiates is that kratom acts on mu receptors in the brain, while opiates act on delta receptors. Kratom is often considered to be naturally effective at providing physical and mental pain relief, which is likely the reason why it’s used by millions of people around the world. Many people claim that kratom can temporary kill feelings of anxiety for 2 to 5 hours after ingesting the plant. Prescription ADHD medications like Adderall or Vyvanse can either increase or reduce anxiety, depending on the user. I know that for me, the worst part of using Vyvanse or Adderall is the anxiety-related side effects. Since ADHD and anxiety are related disorders (though not necessarily dependent on one another), this leads me to believe that kratom can potentially help to alleviate some ADHD/anxiety symptoms as well. One of the most interesting benefits of kratom is that many people claim to feel clearheaded after using the plant. The level of mental clarity that some people experience after using the plant depends on the strain of kratom used. It appears as if white varieties of kratom may provide ADHD sufferers with the greatest mental clarity. However, red and green strains of kratom may also provide powerful mental benefits, in addition to stronger pain relief. Of course, you can’t have the good without the bad. So, kratom obviously has some potential downsides that people should know about. There is some evidence that attests to the health risks of using kratom. However, the internet is also full of second-hand testimonies regarding the dangers of using kratom. This means that you have to be extra careful of the sources that you use to assess kratom’s health risks. For example, one official government resource claims that chronic recreational use of kratom has occasionally been associated with hepatotoxicity, which is a chemical-driven liver injury. This resource refers to research conducted by HJ Zimmerman, who has published several books and studies on the topic of drug-induced liver toxicity. A quick search on Reddit also reveals a number of testimonies where Kratom users have written about having stomach ulcers, elevated liver enzymes and a number of other anecdotal issues related to kratom. These anonymous testimonies are obviously a lot harder to verify as being medically accurate, or even truthful for that matter. But, generally speaking, there are enough case studies, medical journal entries and testimonies available online to suggest that kratom may spark health concerns in at least some of its users. Some of the most surprising information that I discovered involves cases where some kratom users may have developed jaundice after excessive or even casual use of the plant. One case study claims that a man with a schizoaffective disorder was admitted to a hospital for jaundice and a liver injury after ingesting kratom for 3 months. In a book called Kratom and Other Mitragynines, the author refers to a case where a kratom user developed jaundice and eventually hepatitis after using a potent kratom extract and crushed kratom leaf. 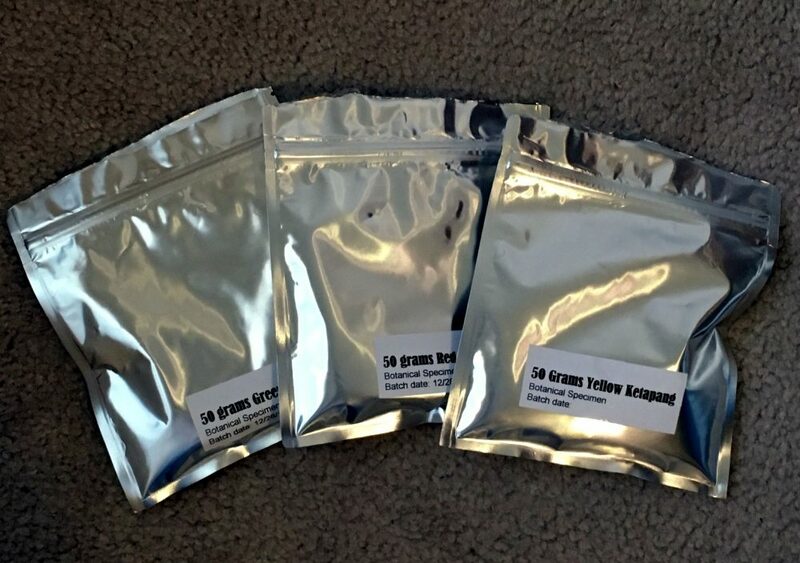 There are various other anonymous testimonies scattered across the internet, where kratom users claim to have gotten jaundice after using the herb. But, it’s difficult to find any hard evidence (medical documents, pictures, video footage) to support these claims. Since kratom has largely been unregulated and understudied, there isn’t any solid evidence available to know whether kratom is safe for long-term use. I did find some claims inferring that kratom has been safely used in Asian countries for hundreds of years. I trust that kratom has been used in Asian countries for hundreds of years. But, it’s still pretty difficult to determine if the plant was used safely in these countries. There’s just too much uncertainty to know whether kratom is truly safe for long-term use, or if it’s potentially hazardous. 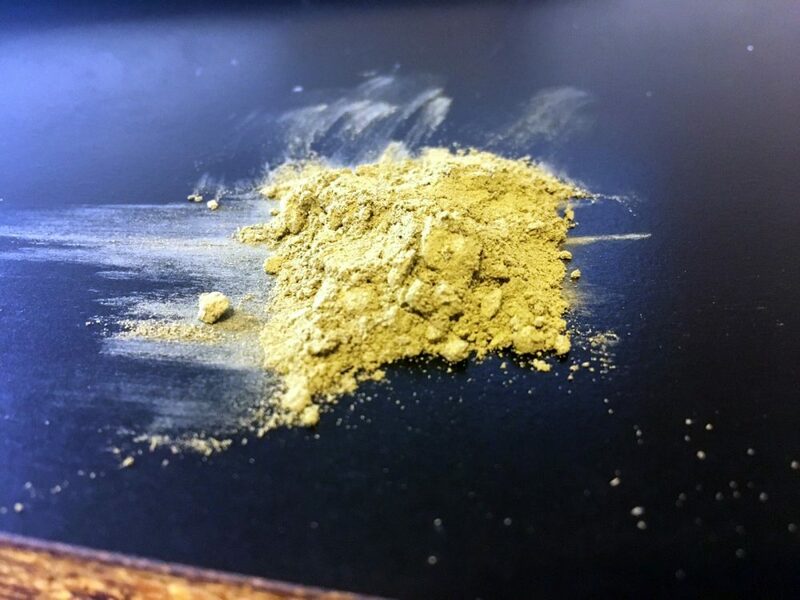 While kratom is still legally sold as an incense in most U.S. states, the plant is outright banned in a handful of U.S. states, and illegal to possess in a number of countries as well. The DEA also planned to make kratom a Schedule 1 (highly illegal) substance in the U.S. in September 2016. But, U.S. citizens sparked enough outrage over this decision to force the DEA to temporarily overturn their ban. Now, as of January 2018, kratom is undergoing legal limbo in the U.S. There’s a heated battle taking place to keep the plant legal, or at the very least, have the plant regulated by a branch of the U.S. government (like the Food and Drug Administration). I will update this article once kratom’s legal status in the U.S. is more clear. Most people experience some discomfort after stopping their use of kratom. Withdrawing from kratom is actually supposed to feel like having a mild cold for one week. But, after quitting the herb, it seems like most people are able to move on with their lives accordingly. This seems to be typical of most ADHD treatment options on the market today as well. Withdrawing from kratom actually seems a lot like withdrawing from Vyvanse or Adderall. The regulation of kratom could be a positive idea that I’m willing to get behind. Kratom is typically imported from regions of Asia where there aren’t any solid quality control measures in place. So, there currently isn’t any kind of process in place to manage how kratom is grown, harvested and processed. I get the feeling that some farmers will use harmful pesticides, fertilizers and other chemicals to grow kratom without much regard for safety. If it can be proven that a source of kratom is grown organically and safely, I think that the plant would be much more accessible as an ADHD treatment option. I know that this should come as an obvious point, but it’s still one worth mentioning. Using kratom probably isn’t a comprehensive solution for ADHD, just as Adderall and Vyvanse aren’t comprehensive solutions for ADHD either. After all of my research, it seems like kratom could be a great partial solution for people with severe cases of ADHD. But, treating ADHD effectively requires a total lifestyle shift with or without kratom. Here’s the bottom line when it comes to comparing kratom and Adderall. Here’s the bottom line when it comes to comparing kratom and Vyvanse. I can’t recommend that people with ADHD use kratom, as the plant is currently undergoing an intensive legal battle in the U.S. But, I can say that from everything I’ve experienced, kratom appears to have strong merit as a powerful tool for treating severe cases of ADHD. Based off of the research I’ve conducted, I have zero doubt that kratom is a life-changing plant for many people who are experiencing severe pain in one form or another (physical, mental, social). If kratom is regulated in the US, then I will use it as an ADHD treatment option. Who knows? There’s a chance that kratom could be the perfect treatment for ADHD symptoms. It just needs to be studied, tested and possibly regulated, first. 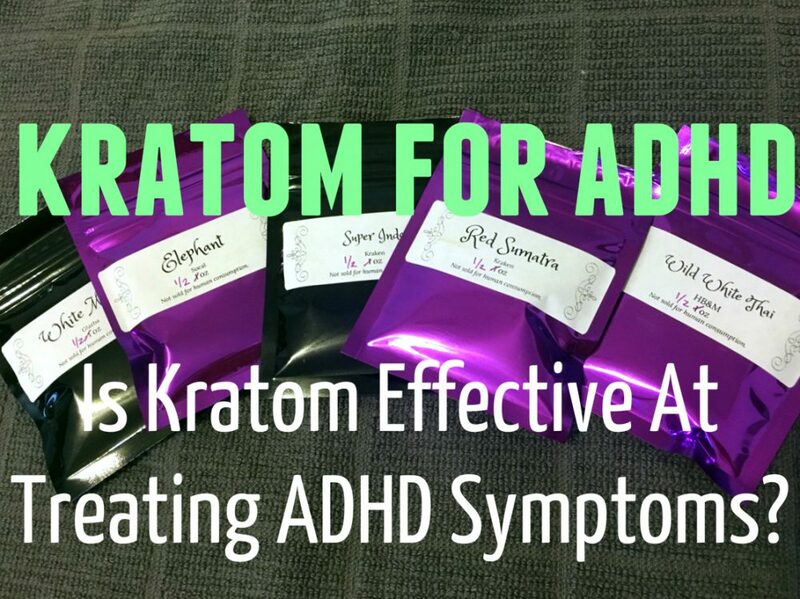 Because, once people can experience peace of mind while trying kratom for ADHD, that’s also the point when kratom can gain acceptance as an effective option for treating ADHD symptoms. Thank you for this well-balanced article about kratom and ADHD. I have been taking kratom for about 5 yrs, and I think it is amazing. Of course, you do have to take it “responsibility,” meaning taking the smallest amount you need to, and not developing a huge tolerance. It’s very much like coffee/caffeine that way — less is usually more! But other than that, I love kratom. It helps me feel both more energized and less anxious. You’re very welcome for the article. I appreciate you taking the time to read the article and comment on the piece. I’ve heard so many positive testimonials about kratom, just like yours. I 100% agree that kratom is a powerful and effective plant. Yes, I hear that kratom is amazing for anxiety, and helps with ADHD as well. I wish you the best of luck going forward. Thanks again for reading. Hi Jessica. Thank you for your comment. I completely understand wanting to keep unnatural chemicals out of your daughter’s body. So, you definitely have her best interest at heart. Kratom is potentially an amazing plant. But, I just don’t know enough about kratom’s long-term effects. No one does. There unfortunately isn’t nearly enough research for people to know whether kratom is truly “safe” for anyone to use long-term – adults or children. The human brain continues to develop until you’re about 25 years old. So, I definitely don’t think it’s wise for children to use kratom. It may also be illegal to give your child kratom (check your local laws on that one). Overall, kratom is basically a really tricky subject to discuss right now, since kratom was almost turned into a scheduled drug recently. We still don’t know what the future looks like for the plant. I recommend putting your daughter in competitive sports, and feeding her plenty of healthy food for the time being. You might also want to consult with a good naturopathic doctor in your area for the best results. I wish you and your daughter the best of luck! Thank you for this article. Would you know how to find reputable sources? This sounds like a good option for me for my combination of ADD, chronic pain, anxiety and depression. I have tried ADD meds and the edgy feeling isn’t worth the benefit…although have not tried Vyvanse. I find Happy Hippo Herbals to be great. The owner is very communative and has lab testing done. He has one source. HI, I am an addiction specialist with ADHD and I bought some in Chicago today and took 1/2 tablet and it is amazing. It cant be any more dangerous than other drugs prescribed and or illicit. The young people who worked in the kratom store suggested taking 3, I took 1/2 and glad I did not take any more. I dont think a dose higher is necessary for a 5ft 131 pd. female. Im concerned that those who sell it dont understand the variability to its effects vary person to person for many reasons. So It might be wise to tell people to try a 1/2 tablet to start, because that is all I needed, glad I did not take 3, btw Im gettting a root canal and have pain, but doctors in Cook County are not prescribing pain pills, so it is really helping me with my tooth pain!